Perhaps the most over looked component of outdoor lighting is the Design. I often times here clients say “You’re the expert, tell us what you think”. I am always happy to offer my opinion and tell a client, “This is what I would do if it were my project”. However, it’s really not my project. My participation is just a vessel to get the client to a lasting lighting effect that they will enjoy for a long time to come. The answer is frequently a combination of a few of the above. It is then that I can begin to explain what design (type of fixture and placement) that will best accomplish that goal.  From that point on it’s a back and forth with the client to incorporate the most important elements in their Landscape Lighting Design. We often give a client a few different options so they can even phase in a plan over time if that’s what they prefer. In certain instances we like to complete a night time lighting design demonstration to help clients better see what the actual effect of the lighting will be before we begin the installation. Outdoor Lighting is such a visual effect it is often times best to see it in action as opposed to just discussed conceptual ideas.